Using software solutions to automate lead nurturing processes undoubtedly works. Research from Act-On shows just how powerful marketing automation can be for converting visitors to leads and improving sales conversion revenues. On the other hand, marketing automation on its own simply isn’t enough. To get the best results from your funnel, you’ll need to make an effort to get personally involved, to get to know the real human beings behind each of your leads – or at least the most important ones. While automation does have its merits, it comes with dangers, too. When everything’s automated, you run the risk of losing that human element that is so effective for building relationships with your prospects. No matter how great your content is, and no matter how sophisticated your personalization efforts are, bots will never be able to deliver the value of an actual person-to-person interaction. 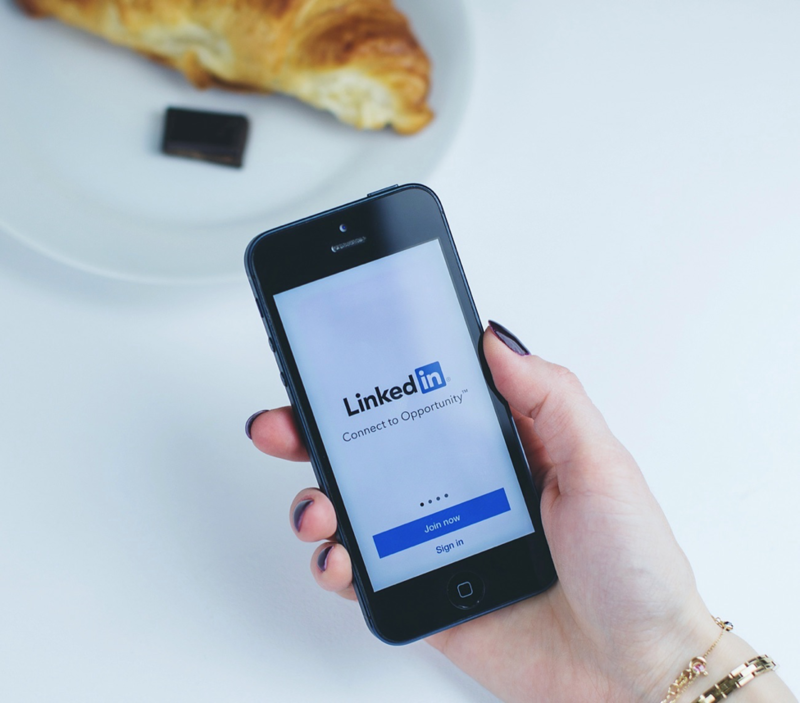 Social media is arguably the best channel for quick, manual engagement to help you stay top-of-mind among your prospects, and in the B2B sector, LinkedIn is where the action is. “If you’re selling to other professionals (Business-to-Business), then LinkedIn will give you the best bang for your buck,” asserts Codeless Interactive’s Brad Smith. Let’s explore three ways to overcome the automation challenge and improve your LinkedIn lead nurturing with these manual engagement techniques. In reality, everyone is engaged in social selling, either actively or passively, and your LinkedIn profile is the perfect place to showcase your industry expertise. You can do this through your bio summary, your tagline, your posts, the articles you share, and the comments you make on other people’s posts. When building your social presence, make sure you send the message that you’re a real person. When you share links to curated third-party content, take a minute to put together some original thoughts about the content in the status update, too. When sharing your own content, add some more insights to the post that go beyond the article title. This will show your prospects that you understand the industry and have original ideas. Keep yourself organized. Staying active in the right sections of LinkedIn is a challenge; we’re all limited to the same 24 hours a day. Maintain a schedule, so you know when and where you’re posting, and make sure you cordon off adequate time to check where it matters most, so you can interact with your audience in real time. If you’re a good LinkedIn marketer, you know how important it is to be active in LinkedIn Groups. But the reality is that most people don’t know how to use them correctly. LinkedIn made all groups private in October 2015, because they found many marketers were spamming them with promotional offers, rather than authentically engaging the other users in a manner that emphasizes value. Instead of broadcasting your hard-sell messaging, Lighthall suggests you focus on being helpful and active in existing discussions. Over time, you’ll come to be seen as a thought leader among your peers, which will build your authority when it comes time to convert your leads. Being a thought leader also means you’re producing and sharing top-quality content, which usually means people will want to engage with you. Keep your content timely and relevant to your audience. Always use forward thinking. Yes, there’s risk, and there will be haters, but it’s a necessary part of the journey. As you build your profile and your presence, you’ll automatically be gaining respect in your field. Search for relevant LinkedIn groups, then reach out to and connect with individual group members while keeping these recommendations in mind. With the plethora of groups on the network, there are definitely several serving your niche. Just be sure that any group you join has a healthy and active membership, or else there’s no value to you. Following an editorial calendar for sharing content is a great strategy, but don’t forget to engage casually and individually with key contacts via LinkedIn’s messaging module. LinkedIn’s own reminders used to be a great way to do this, but this feature was killed when the platform’s new design rolled out a few months ago. Most lead generation tools and CRMs offer a way to do this easily, so you never go too long running completely on marketing automation. When you make a connection on LinkedIn, set up a reminder to engage with those connections, and then get ready for that follow up with content to share, business advice or just a personal note. Take time to read what your connections are sharing on LinkedIn, and share their articles. Comment on or like something they’ve shared. Mention them in comments if something is highly relevant. Invite them to lunch or coffee. Ask them to collaborate with you on a project like a webinar, or write a guest blog for your site. Any of these personal connections will help to nurture your leads and take those relationships further than marketing automation ever could. Because we all only have 24 hours in a day, and so many places to be in online, marketing automation definitely has its place. And it works – really well – to improve lead nurture and conversions for B2Bs. But don’t rely on automation entirely – especially on LinkedIn. Using these strategies will help you maintain a human touch with your marketing and sales efforts, and you’ll see even better results in your lead nurturing.